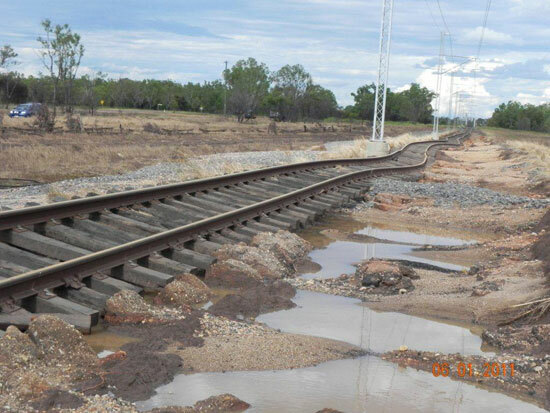 These photos of track damage in Australia were forwarded to me by Byron Simmons, a member of our Ontario Central Chapter of CARM. 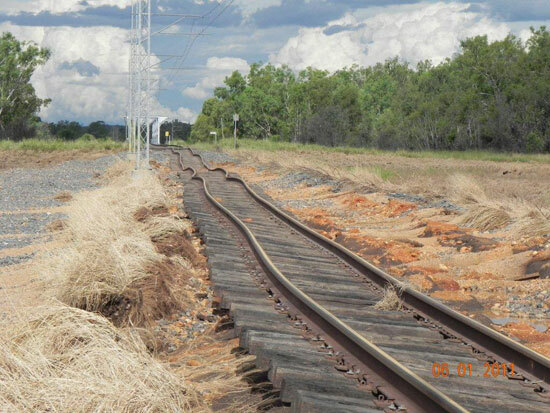 They were sent to him from Australia and show track damage to the railway line in the Comet River Section. 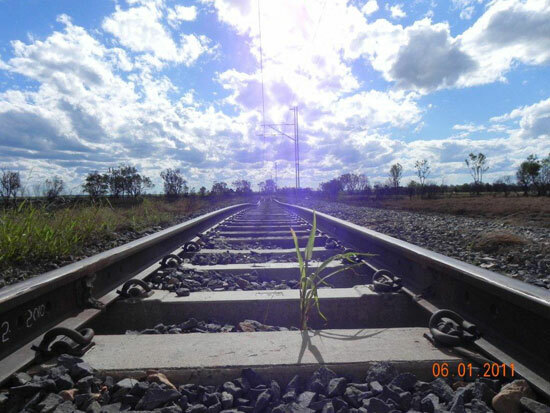 This is the mainline route for coal to travel from Emerald. 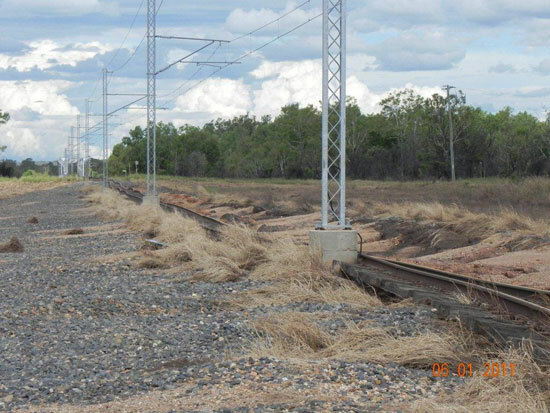 Emerald is in the Central Highlands of Queensland. 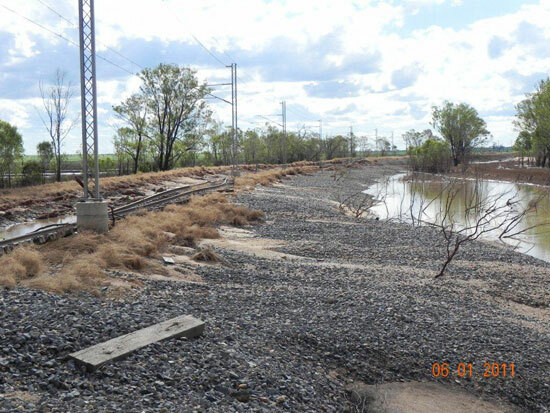 Comet River is in Central Queensland south of Rolleston. The floods were in early January, 2011. 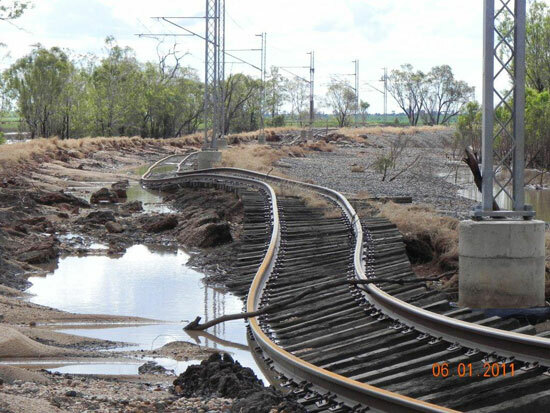 No trains running for awhile! 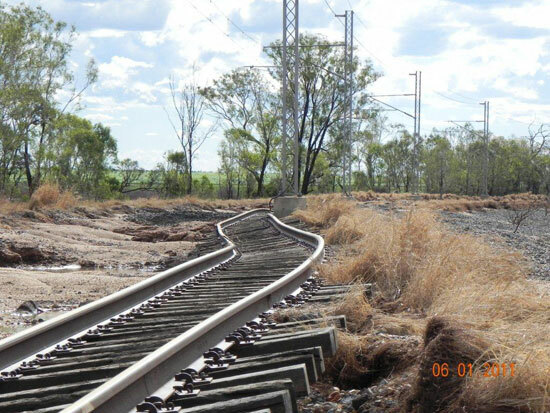 Go from "track-damage" to the Train Photos overview. 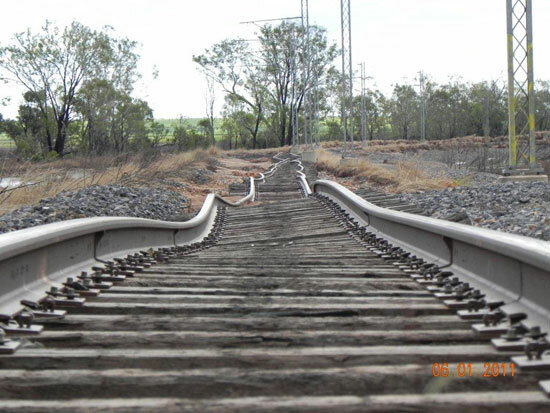 Return from "track-damage" to my Home Page.